You don’t need me to tell you that excessive holiday spending can ruin your finances. It isn’t my intention to come across as the mean Mr. Grinch, but we all know that this is the time of year when many parents absorb unnecessary debts in order to make sure their kids have a Barbie Dream Horse ($99) and a Nintendo Switch ($299.99) wrapped underneath the tree. While all parents want the very best for their children, it’s important to avoid the pitfalls that impact consumers more often than not. 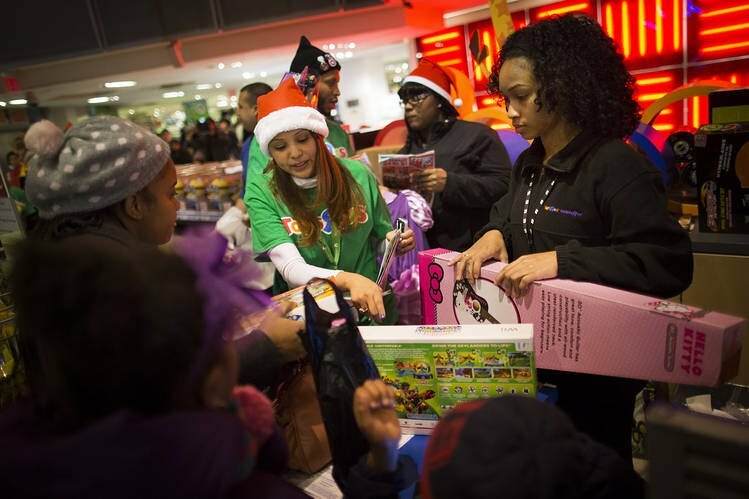 Let’s have a look at some ways to financially survive the holiday shopping season. According to a report from Visa, retail sales during the final two months of 2016 grew 4.8% on a year-over-year basis. That increase in holiday spending represented the strongest rate of growth since 2011 and was attributable to the increasing prevalence of e-commerce sales. This year, the National Retail Federation (NRF) forecasts holiday sales growth of approximately $682 billion, which would represent a year-over-year increase of 4.0%. The same NRF report indicates that consumers will spend an average of roughly $967.13 on gifts in 2017. Although this level of spending might be affordable for some people, I’m mostly concerned about consumers who plan to spend beyond their means. Here’s some friendly advice: before making a trip to the mall or browsing Amazon.com in the coming weeks, prepare a budget and stick with it. By setting aside a specific (and reasonable) amount of money for gifts and making sure that more than enough funds are available for the purpose of saving and paying for monthly expenses, you will take an important step in the direction of generously celebrating the holidays while preserving your financial health. Although many kids like to receive the newest and coolest toys, they will probably appreciate debt-free parents and a promising inheritance more in the long run. A blogger who provides parenting advice raised an interesting point in a recent post about some gift ideas that involve the giving of experiences rather than tangible items. Her theory is that experiences like a trip to the movies or time spent learning a new skill can be more memorable and less expensive than material goods, which is something I would tend to agree with. At the end of the day, the holiday season is all about spending time with loved ones and bringing smiles to the faces of our children. However, we all can take steps to become more creative and less prone to heavy spending in our efforts to make this season memorable for the right reasons.